B Local offers an integrated loyalty solution for every aspect of the Hospitality Industry, from restaurants to bars, and hotels to B&B’s – no facility too small or hotel chain too large. Our end-to-end loyalty program provides you with an out-the-box solution that can track and reward your customer’s activities through the entire transactional life-cycle, all within one program and using one card. 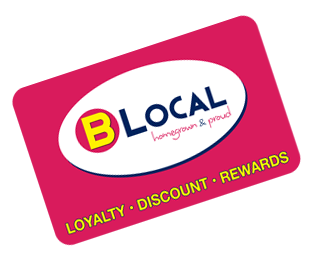 Whether they are making a reservation or buying a drink – B Local is able to record and reward at every level. Our famously easy-to-use interface will be easily adopted by temporary and permanent staff – and your customers will love our online self-help services. If you like to see how effectively B Local can transform your customer loyalty, then please sign up and we’ll discuss the options with you.